Amazon Price: $99.99 $69.99 You save: $30.00 (30%). (as of January 25, 2019 8:12 am - Details). Product prices and availability are accurate as of the date/time indicated and are subject to change. Any price and availability information displayed on the Amazon site at the time of purchase will apply to the purchase of this product. 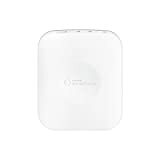 If the Honeywell Programmable Thermostat was not detected, you may need to reset the device through a Z-Wave exclusion before it can successfully connect with the SmartThings Hub. To do so in the SmartThings mobile app: 1. Tap the menu 2. Tap the Hub 3. Tap Z-Wave Utilities 4. Tap General Device Exclusion 5. When prompted: 1. Press the System button on the left side of the thermostat's display 2. Press and hold the blank center button until the display changes 3. The first set of numbers/arrows is the "Function" section – Scroll until you find "RF10" 4. The second set of numbers/arrows is the "Setting" section – Select 0 5. Press Done in the lower left corner to save and exit After the app indicates that the device was successfully removed from SmartThings, follow the first set of instructions above to connect the Honeywell Programmable Thermostat.